The state of your oral health says a lot about your lifestyle. Excess sugar consumption and habits like smoking all have a negative impact on teeth while other lifestyle indicators, like a lower income, have also been proven to impact dental health. Sugary foods and drinks are one of the main causes of tooth decay. When you eat sugar, acid is produced to break it down. In turn, acid also attacks the tooth’s surface – the first step in tooth decay. One of the biggest problems with sugar is that it’s everywhere. Even if you try to avoid sugary food and drinks, it’s hard to get away from today’s ‘cake culture’ in the workplace. 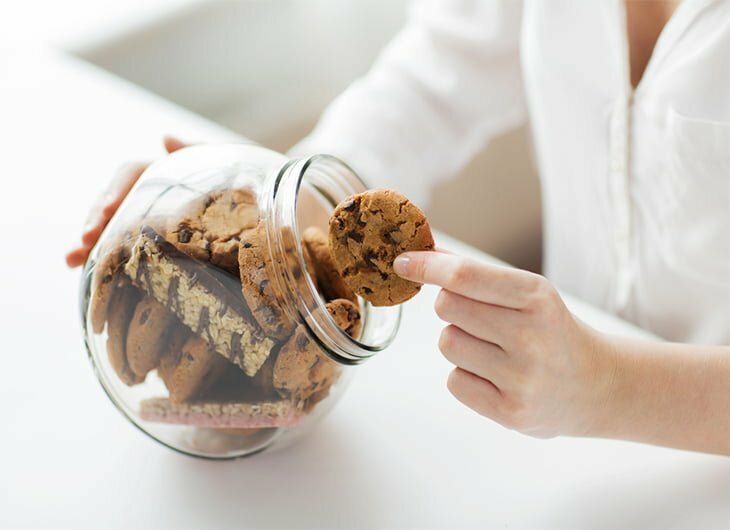 The daily or weekly selection of cakes, chocolates and biscuits is served up as a reward but is contributing to obesity and poor dental health. If you’re a fan of beverages like coffee, tea or wine and foods like berries and tomato sauce, you may have noticed some discolouration of your teeth. You’re more susceptible to stains when you get older too – as your teeth begin to develop little cracks and crevices. Poor oral hygiene is an issue we see time and time again. When you lack routine, your dental hygiene will suffer and issues like tooth decay and disease will become a reality. Sometimes, it’s socioeconomic factors that affect our teeth though. For example, earlier this year, it was announced that the oral health of older people living in care homes needed to be made a priority. Research by The National Institute of Health and Care Excellence found that most care home residents have cavities, compared with one third of people of the same age living at home. This statistic shows that care home residents need help brushing their teeth and more support from staff when it comes to dental health. Furthermore, according to 2014’s UK Adult Dental Health Survey, those with lower incomes suffer from poorer dental health as a result. The study revealed that those with a lower income, lower occupational class and higher deprivation generally suffered from poor oral health. Persons in these groups had more tooth decay, gum disease and tooth gaps as well as fewer teeth overall. Whatever your lifestyle choices, regular dental care appointments at AP Smilecare can help ensure optimum dental health. We also offer cosmetic dental services such as Teeth Whitening for other lifestyle-inflicted problems. To find out more about our offerings and price plans, call the team on 01254 297 000 today.